University of Melbourne Student Union (UMSU) President Tyson Holloway-Clarke has backed away from the suggestion that Destination Melbourne would be merged into the UMSU’s Volunteer Host Programme, saying that “the process [for determining the future of DM] has been reopened”. An email obtained by Parkville Station, addressed to all staff and student representatives in UMSU, said that UMSU’s Destination Melbourne programme would be run by the Host Programme Directors in 2017, rather than having two separate Directors. The email also says that the O-Week Host programme will “incorporate the operation of the Destination Melbourne Program”. However, Holloway-Clarke says that decision has been reversed. “[I]t is true that some plans were made — namely incorporating DM into Hosts. That plan is currently being reviewed and reworked based on feedback from students”. He said the organisation was “currently reviewing the Destination Melbourne Program and making some significant changes”. Holloway-Clarke did not address our questions around the specific process by which the changes were originally proposed and announced, or who was involved in the review process, but said that “[i]nternally we will work on a different model based on the feedback of students and input from student representatives” before the model is moved forward. It is normal—although not universal—practice in UMSU for significant changes to volunteer programmes to be reviewed by UMSU’s Students’ Council. Destination Melbourne is not mentioned in the minutes of any meetings of that body in semester 2 that we have obtained from their website. Destination Melbourne, which has been run by the University of Melbourne Student Union (UMSU) since 2014, is a residential pre-orientation programme, which usually runs in early February. It is specifically targeted at students from rural, regional, low–socioeconomic-status and indigenous backgrounds, and typically attracts about 90 students. It was run by the University of Melbourne before 2014. 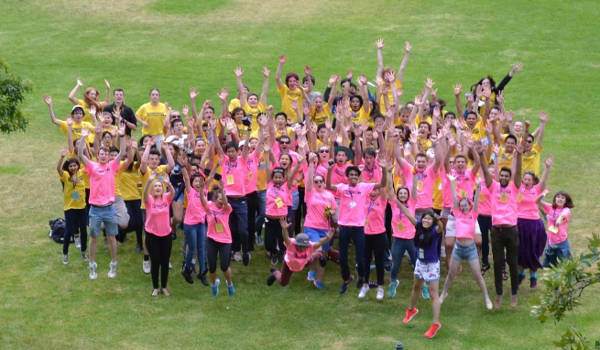 Expanding its volunteering programmes has been a key focus for UMSU over the past few years, with the organisation hiring a volunteering co-ordinator, and progressively capturing University volunteering programmes, such as the O-Week Host Programme and Destination Melbourne. Disclosure: Parkville Station editor Patrick Clearwater was a director of Destination Melbourne in 2014. Click here to read more from Parkville Station newspaper.